Today I’m rounding up two foundations I’ve been testing for the past month. I purchased them during the VIB Sephora Sale. One is a new release from Bobbi Brown and the other is a cult favorite from Estée Lauder. I’ve noticed that the last few foundation releases by brands have been full coverage matte so it looks like this is something that is very much on trend now. Bobbi Brown Skin Long-Wear Weightless Foundation SPF 15 (CAD $55 / US $46) is a buildable medium to full coverage foundation with a natural, multidimensional matte finish that’s comfortable, breathable, and weightless. It comes in 30 impressive shades. This has quickly become a favorite foundation which is quite surprising since I’m not the biggest fan of matte finishes. The formula has marine sugar cane algae extract and natural mineral powders to helps control excess oil and shine. I have used this with both a brush and a beauty sponge and it blends easily into the skin. This isn’t a very thick foundation but I wouldn’t say it felt weightless either. The finish is beautiful, not too matte to make you look flat and as described, it is a buildable medium to full coverage foundation. I was not disappointed in the coverage as I actually prefer medium coverage foundations. It has a natural matte finish that I quite like and it doesn’t feel heavy on the skin. As I have dry/combo skin, I set with a powder. It doesn’t break down in my T-zone like most foundations do. Lasting power is really good and I didn’t have any problems with creasing; it doesn’t catch on dryness or emphasize textures. This foundation also does not oxidize so the shade will not change on you. 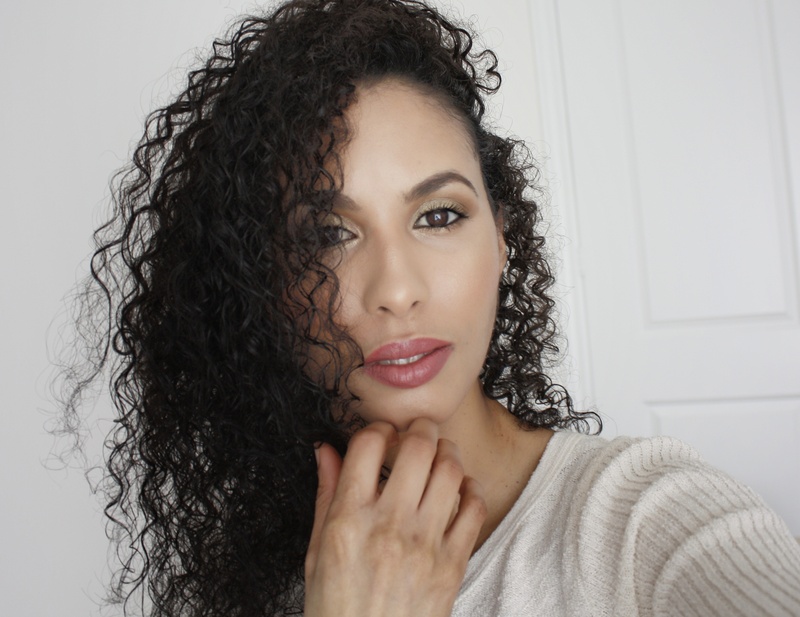 I wear the shade Warm Natural 4.5 which is the perfect match for my olive medium complexion. Like with any matte foundation, I always use a hydrating primer with it. One of my favorites to use with this foundation is the Marc Jacobs Under(cover) Perfecting Coconut Face Primer. Overall I’m very pleased with this foundation and would highly recommend!! The next foundation is the Estée LauderDouble Wear Stay-in-Place Makeup (CAD $48 / US $42). Not a new foundation by any means, this foundation has been raved about by many in the beauty community. I discovered this foundation long before the hype when I was in college; at the time I had very oily skin. I remember how much I loved it but since I’m now on the dry side, I was curious to see how well it would work for my skin type now. As I mentioned, I’m not the biggest fan of matte foundation and I also prefer a medium coverage so this foundation and the Bobbi Brown foundation are foundations that would normally not appeal to me at all. I picked up the shade Cashew 3W2, which is also a perfect match for me. This also have an impressive shade range as well, so everyone should be able to find a color match. This foundation is described as a 24-hour-wear liquid makeup with a flawless, natural, matte finish that unifies uneven skin tone and covers imperfections with buildable medium to full coverage. This full coverage, matte finish foundation is very opaque and a little will go a long way. Since it is so opaque I prefer using this with a damp beauty sponge instead of a brush. This does not have a pump which is a shame but there is a Double Wear Makeup Pump you can buy separately for CAD $13 / US $10 as it makes dispensing product much easier and less messy! Lasting power is very good and although this is a matte foundation, I always set with a powder. This is another foundation I like using a hydrating primer with and of course it is very important to prep your skin very well with a good skincare routine especially if you are on the dry side. Though this is has a matte finish, it will also not look flat matte on you. The coverage is excellent and with one layer it covered most of my imperfections, slightly blurred my pores, and look really smooth on my skin. It didn’t catch on any dry patches or accentuate any texture on the skin. The finish, I would say is natural matte so it doesn’t appear flat on the skin. Unlike the Bobbi Brown foundation, I do think this one oxidizes ever so slightly but nothing too noticeable. Another one I highly recommend if you love matte finishes. I can see why it is a cult favorite! You can find both foundations now at Sephora. Have you tried any of these foundations? What did you think?